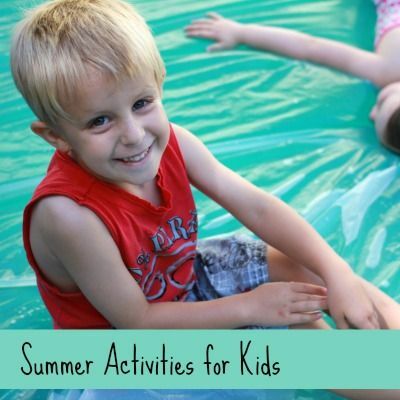 I am delighted to have Asia of Fun at Home with Kids guest posting today. 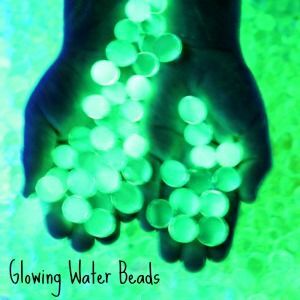 Her site is full of wonderful ideas for sensory and creative play. 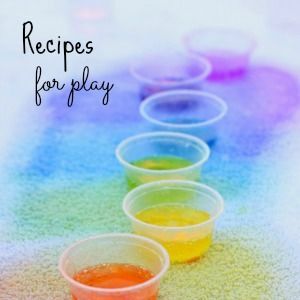 Most recently she shared a series called Play on a Budget with frugal ideas for play and sensory materials. Please join me in welcoming Asia. I have no doubt you will be inspired by her. My daughter, S, loves playing with the dinosaur bones we bought for making our own fossils, so I thought I might make a small world for them to play in. 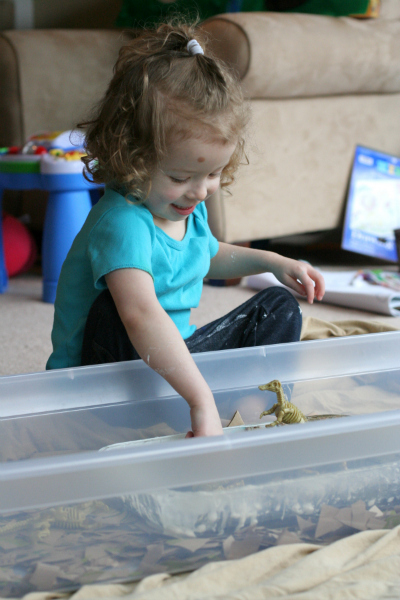 Cornstarch and water is one of my favorite sensory materials, and though we've played with it a lot ourselves, I'd never used it in a small world before. Because it tends to get a bit messy, I thought it would be nice to include a filler that would help contain any overflow. Staying true to the theme of my simple small worlds (you can read about our other simple small worlds here), I wanted to use an easy material - and landed on paper bags. S had a chance to practice her scissor skills by helping me cut two paper bags into small squares or "dried leaves" for our little dinosaur world. I mixed several different colors of our liquid watercolors together until I got a dark brown color (though for the record, they do sell a brown liquid watercolor!). 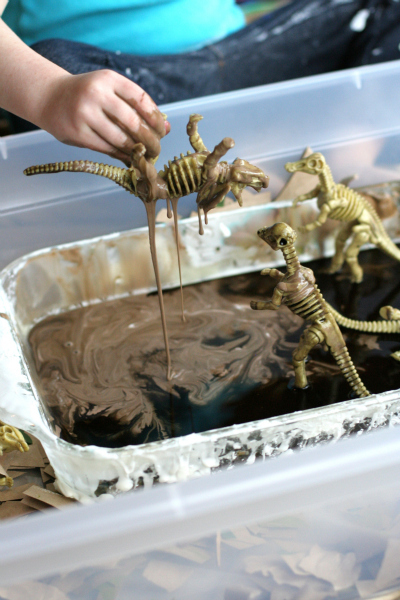 If you have a younger toddler playing with this set up who may be tempted to taste, you could accomplish the same dark brown color by mixing food coloring (or you could even do plain cornstarch and water and call it quicksand!). 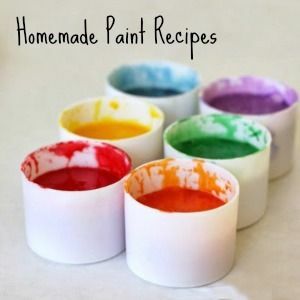 I used a glass cake pan to mix the cornstarch, water, and brown liquid watercolors and just set it directly into the center of our sensory bin (a plastic underbed storage container). 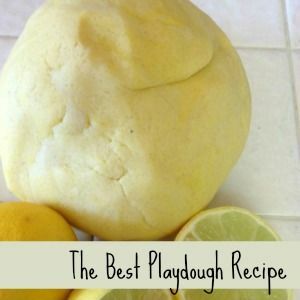 When adding water to cornstarch, err on the side of too little water. 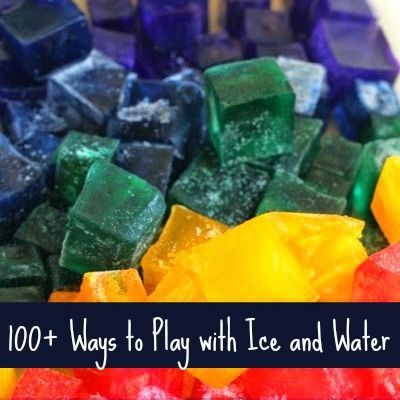 For it to be "sticky", you'll want just enough water to hydrate it. It should be nice and thick, as you can see in the pictures below. 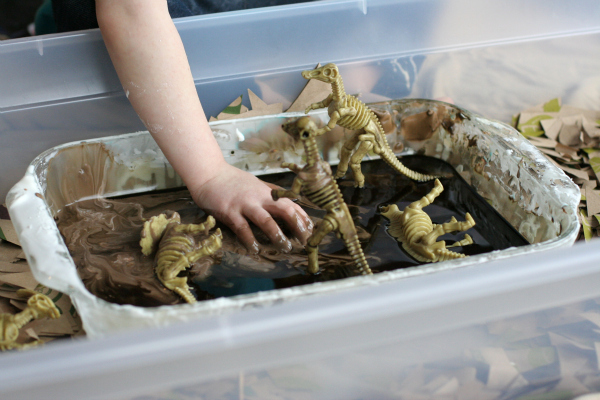 S dove right in - dripping sticky mud on the dinosaurs with her hands, mixing the color further into the mud, and pulling the dinosaurs in and out of the mud pit. 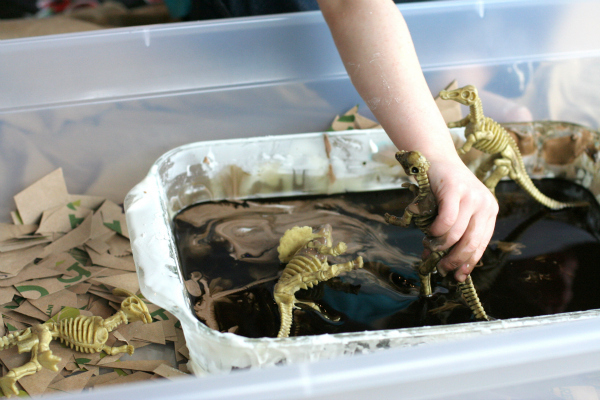 She loved using her fingers to drip the ribbons of mud onto the poor mired dinosaurs. She also enjoyed just feeling the "mud". 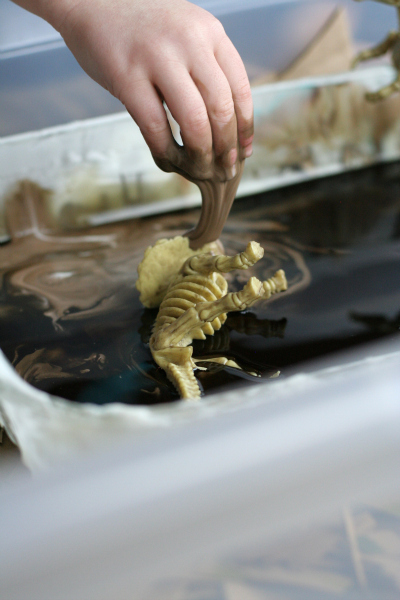 I love the dramatic drips afforded by the cornstarch and water mixture! 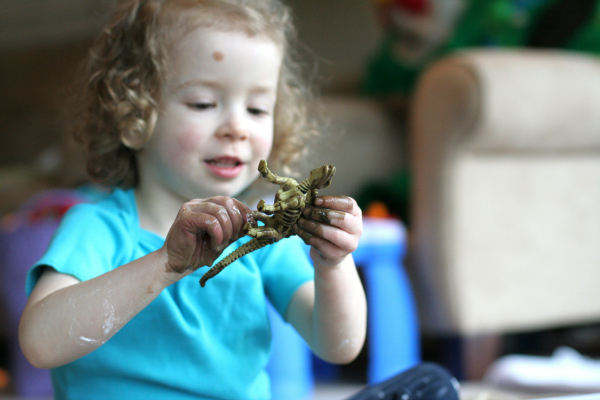 Taking a closer look at one of her goopy guys. By the end, as with most of our sensory experiences, some cute little feet made their way in (along with some fish, a pterodactyl, and I believe a rogue penguin). She loved squishing her toes in the mud and "painting" her feet. Cornstarch and water rinses off easily in the sink, and as I'd hoped, the paper bags absorbed most of the overflow. 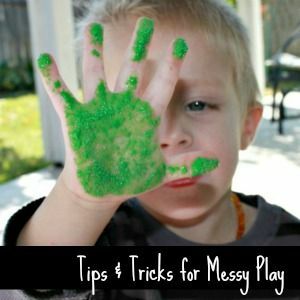 Our only other "trick" for playing with cornstarch and water is to lay out a sheet on which to play (alternatively, you could play with it in the bathtub or outside). After we're done, I just throw the sheet and any clothing with the cornstarch on it in the washing machine and it makes clean up a breeze! 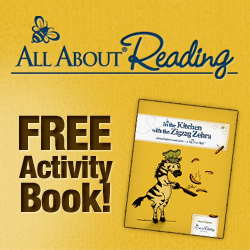 A. Citro is a SAHM to two young kids: X (an infant) and S (a preschooler). As a former science teacher, she knows how important it is for kids to be able to explore and ask questions about the world around them. She places a high value on creativity and being able to "think outside the box". 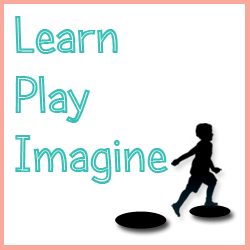 To that end, she strives to engage her children in open-ended play that encourages exploration and fosters their creativity. 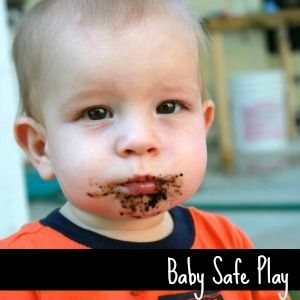 Visit www.funathomewithkids.com or her Facebook or Google+ pages to follow along! How cool! 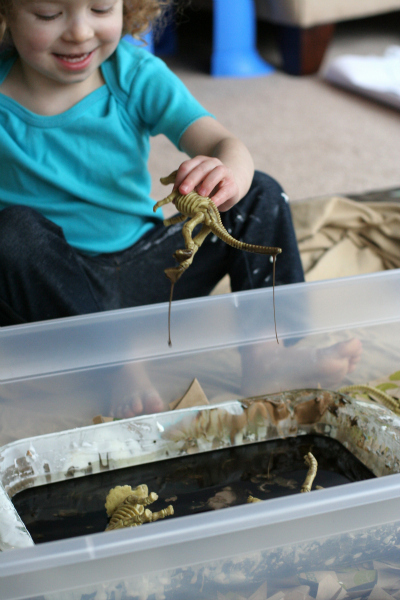 The Little Engineer demanded to know what was going on in these photos, and he's not even into dinosaurs! (Well, unless they're riding on a train.) I love the way you used the "leaves" to catch the "mud" mess...brilliant! Pinning.